This home is for the discriminating buyer who appreciates precision, cleanliness, functional utility, and lots of space. 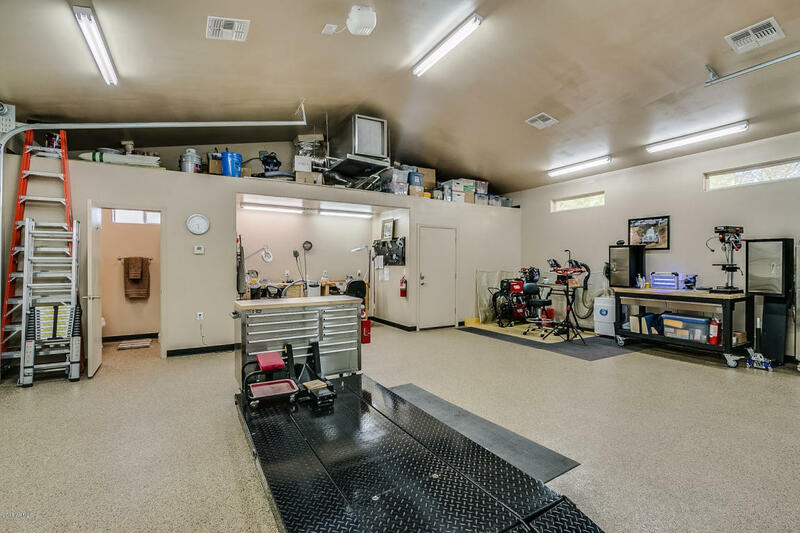 In addition to the gargantuan garage, there’s a drive-through, stand-alone, 900-square-foot, permitted shop with its own full bath, HVAC, secure storage closet, and 50-amp circuits to handle equipment (there’s 400-amp service to the home). Plus a PebbleTec pool, granite and other upgrades in the kitchen. It sits on a half-acre in the secluded Arroyo Grande section of Anthem, AZ.